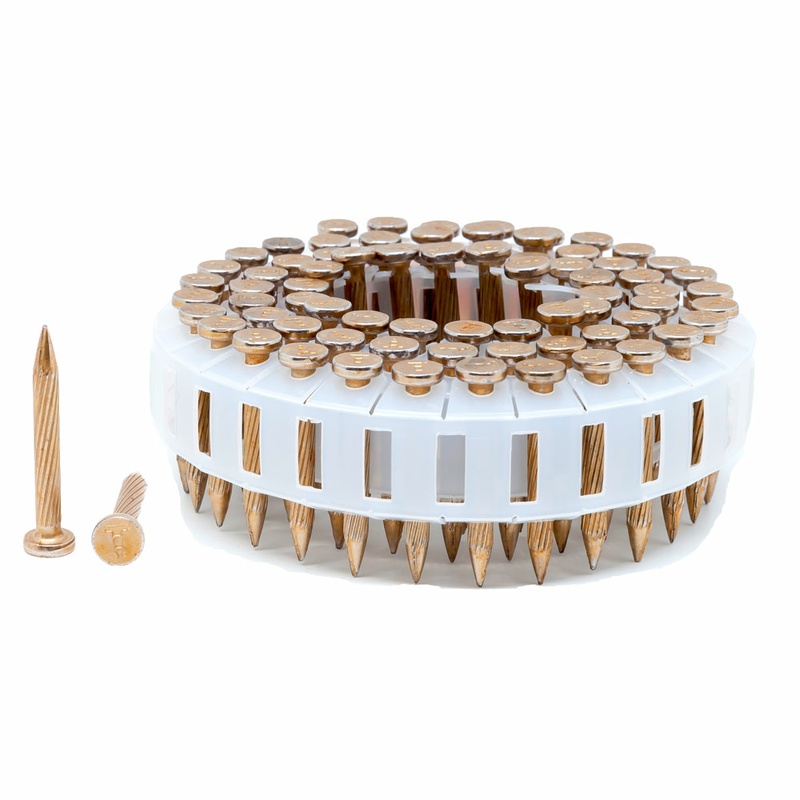 Aerosmith's PowerPin® is designed for today's 400 PSI tools. 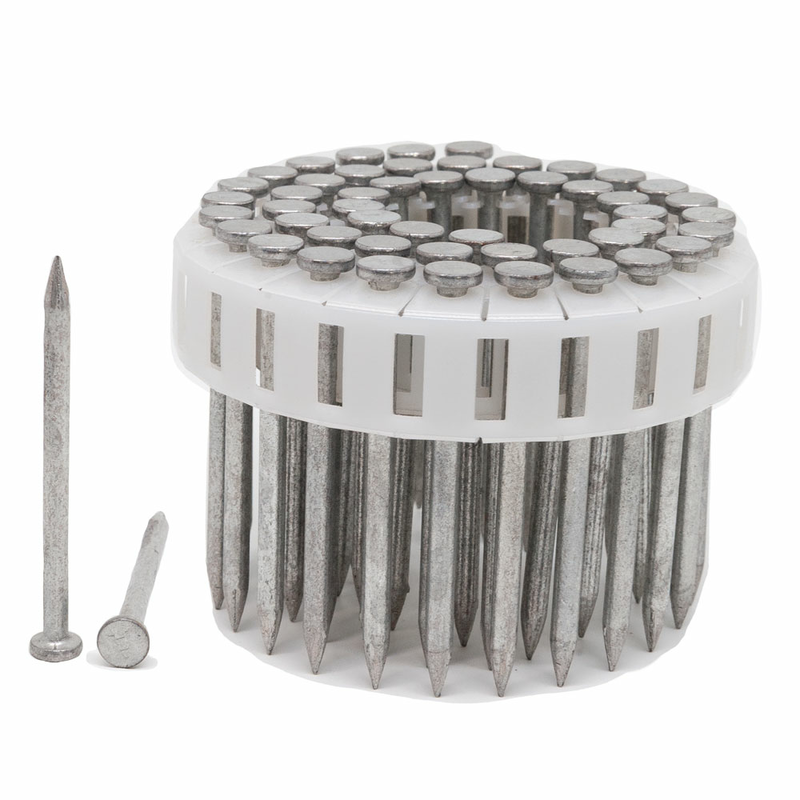 Now you can use the same Aerosmith fasteners you know and trust for your structural steel and multi-layer steel applications. 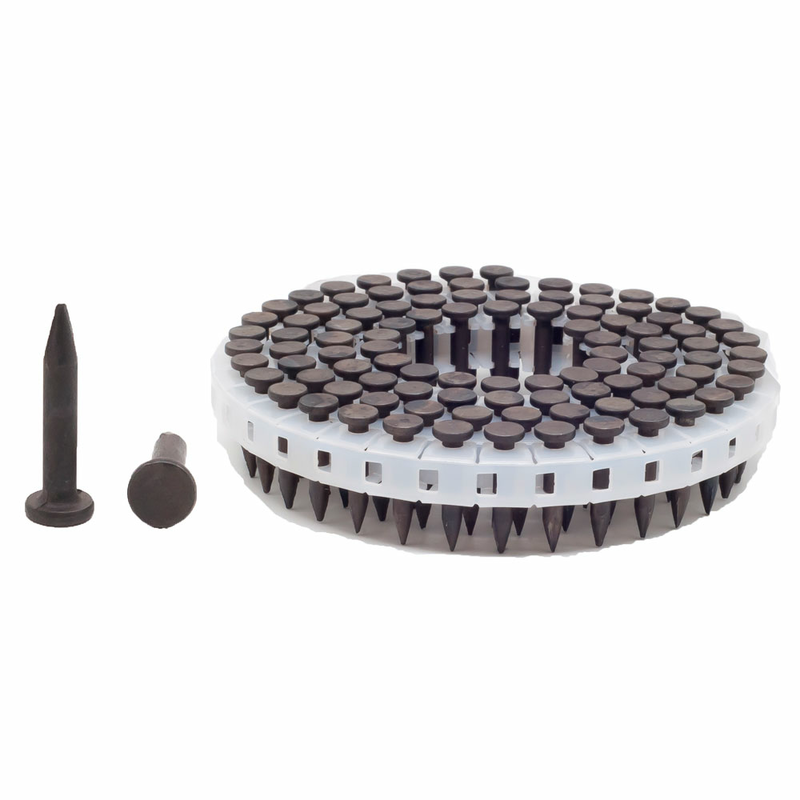 Designed to work with the HN25C High-Pressure Pin Nailer and the HN120 Pneumatic Fastening Tool, PowerPin® is the solution for you. 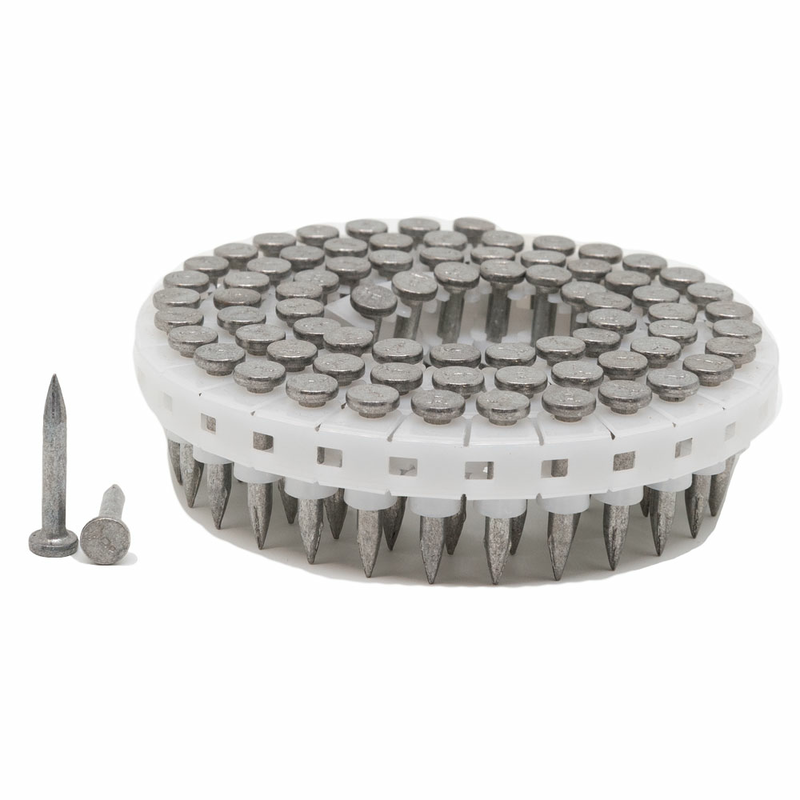 PowerPin® fastening pins are Building Code Tested and Approved and MADE IN THE U.S.A.
Aerosmith®’s PowerPin® fastener line teams up with High Pressure (HP) tools as the delivery system to tackle the most demanding applications like structural steel, pre & post stressed high density concrete, or heavy gauge aluminum. 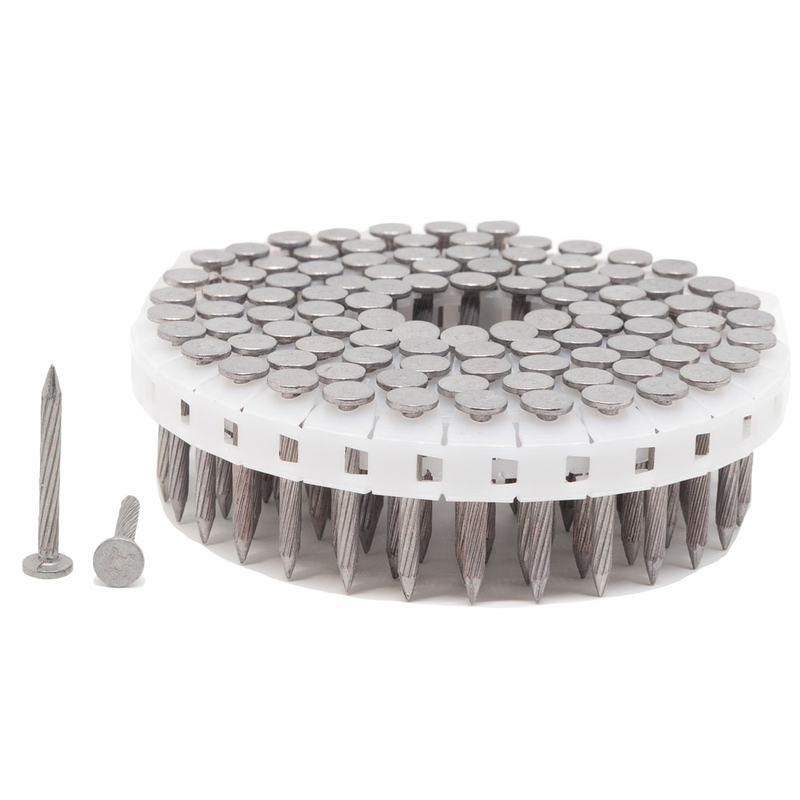 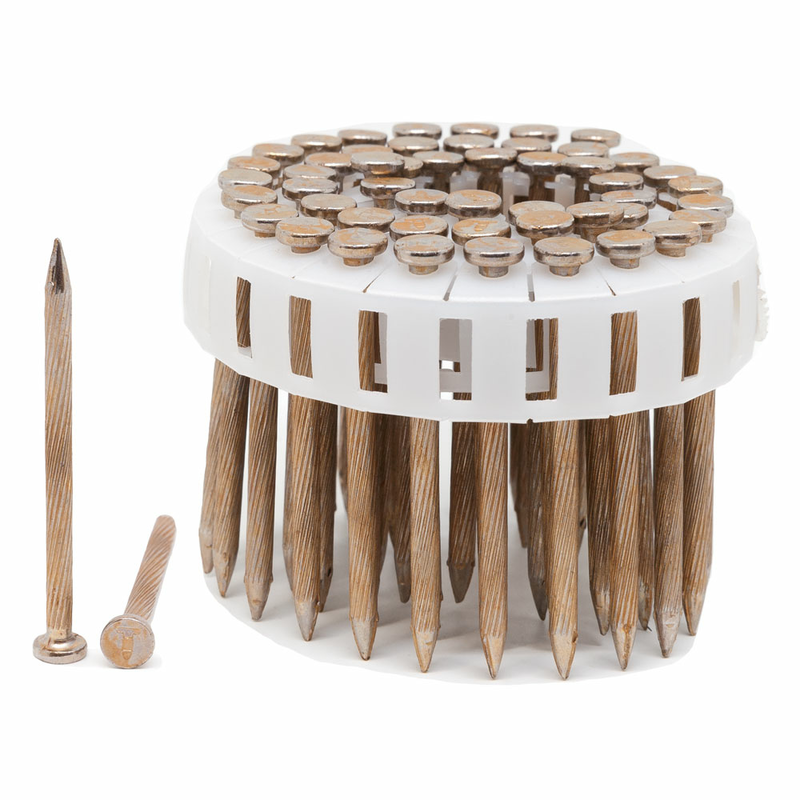 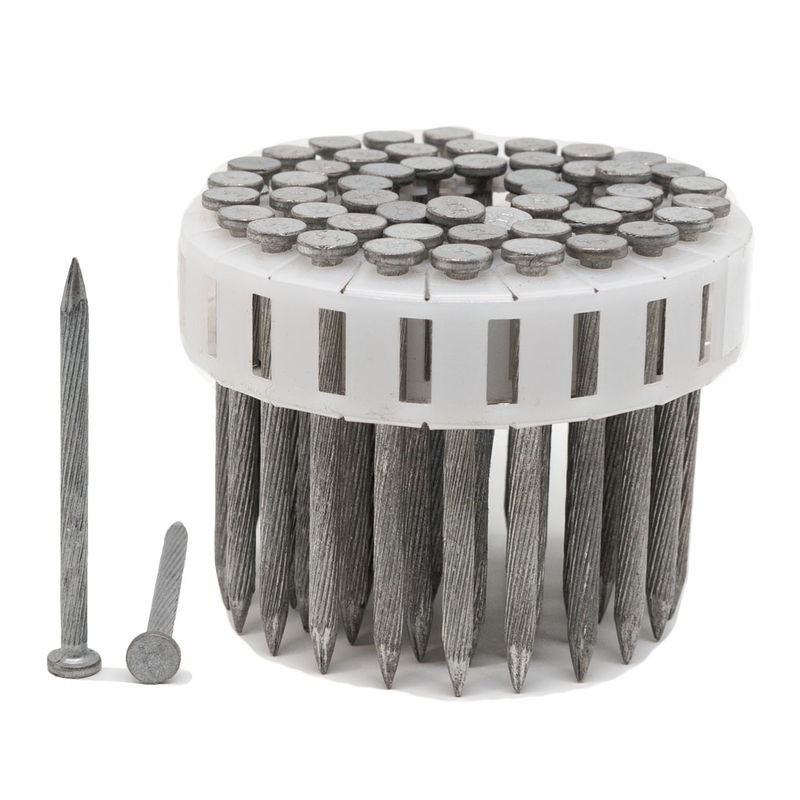 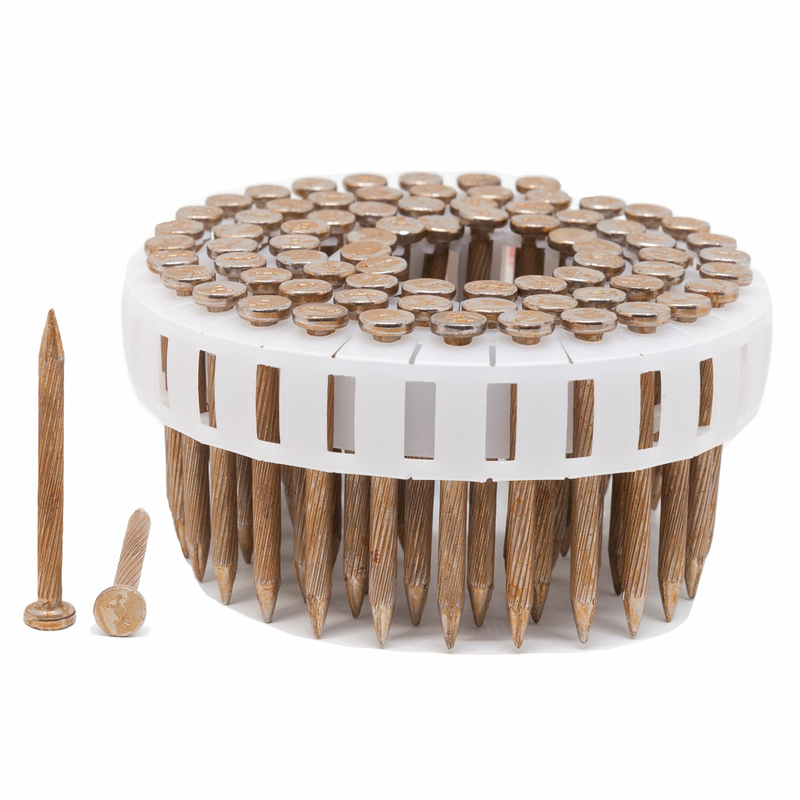 Industrial/OEM users in particular love the PowerPin® system because of the speed with which it handles difficult substrates and as opposed to ‘drilling & screwing’. 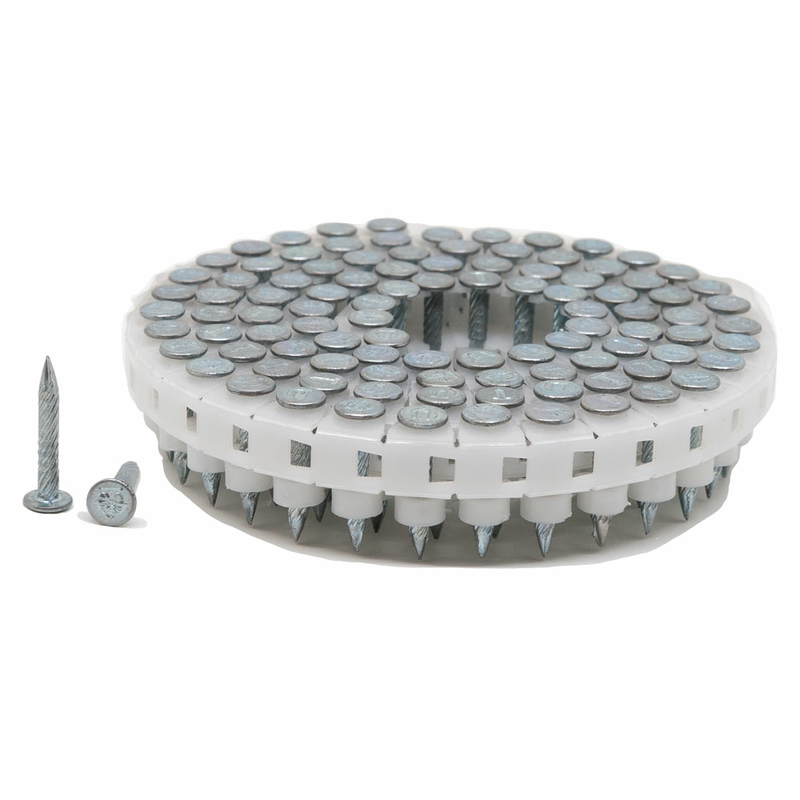 2193HPST .109/.118 x 3/4" Smooth Step with grommet 3,500-6,500 PSI Concrete, Precast Slabs, Lentils & Track to Red Iron Up to 3/16"
3193HPST .104/.125 x 3/4" Step Smooth with grommet 3,500-6,500 PSI Concrete, Precast Slabs, Lentils & Track to Red Iron Up to 3/16"
3193HP .125 x 3/4" Smooth with grommet 3,500-6,500 PSI Concrete, Precast Slabs, Lentils & Track to Red Iron Up to 3/16"
The above parts all have a Head Diameter of .250", are plated with Zinc or PT2000, feature Plastic Sheet collation, and offer 100 fasteners per collated unit. 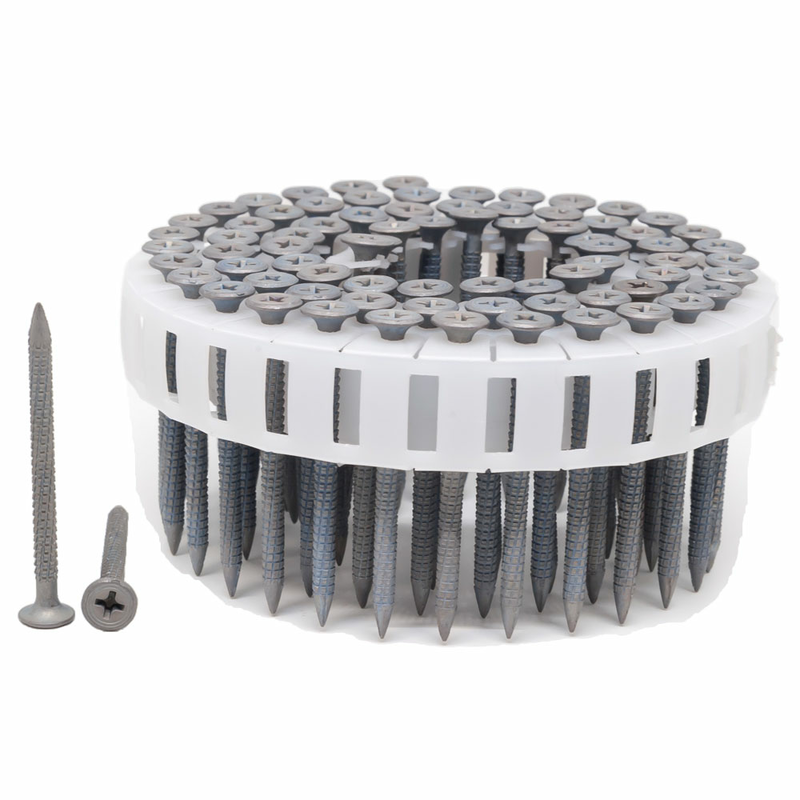 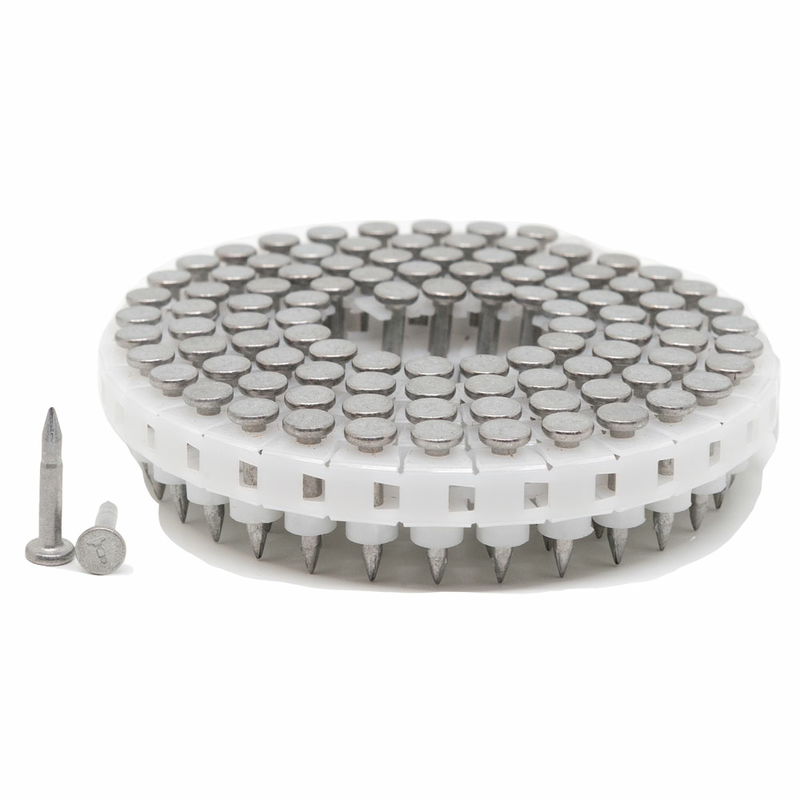 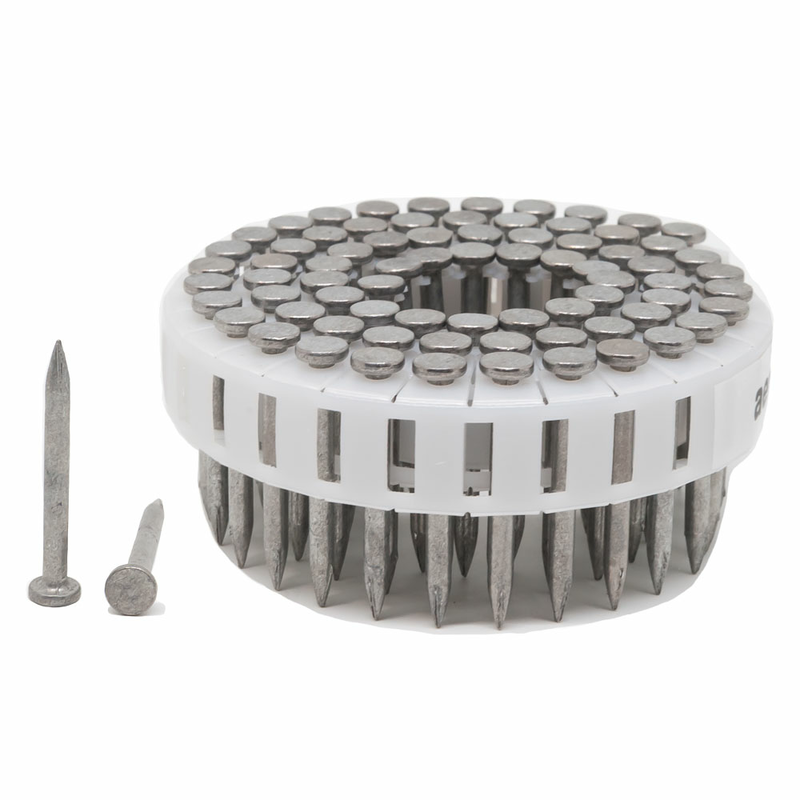 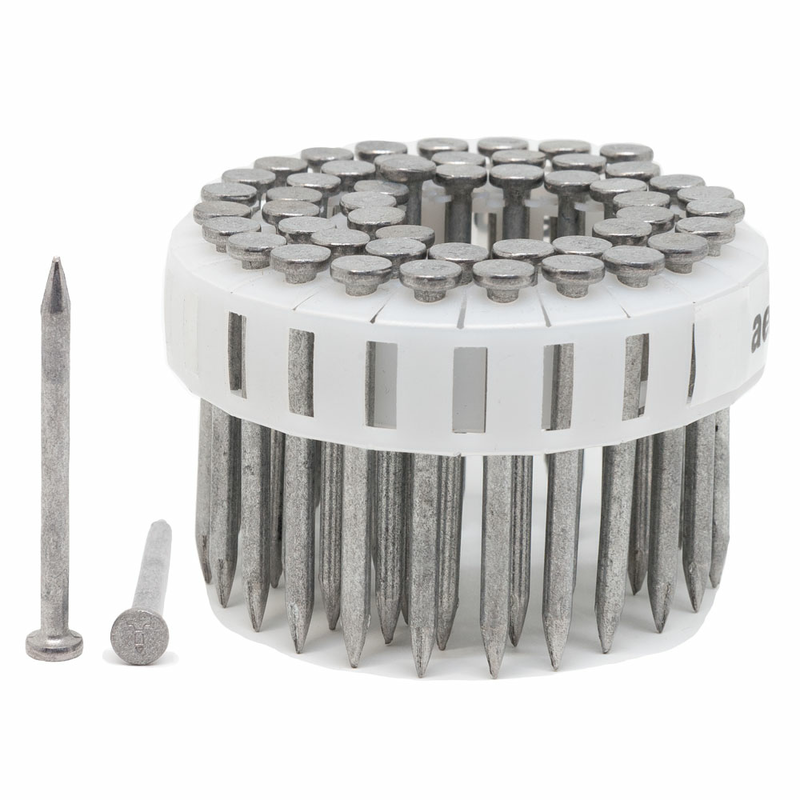 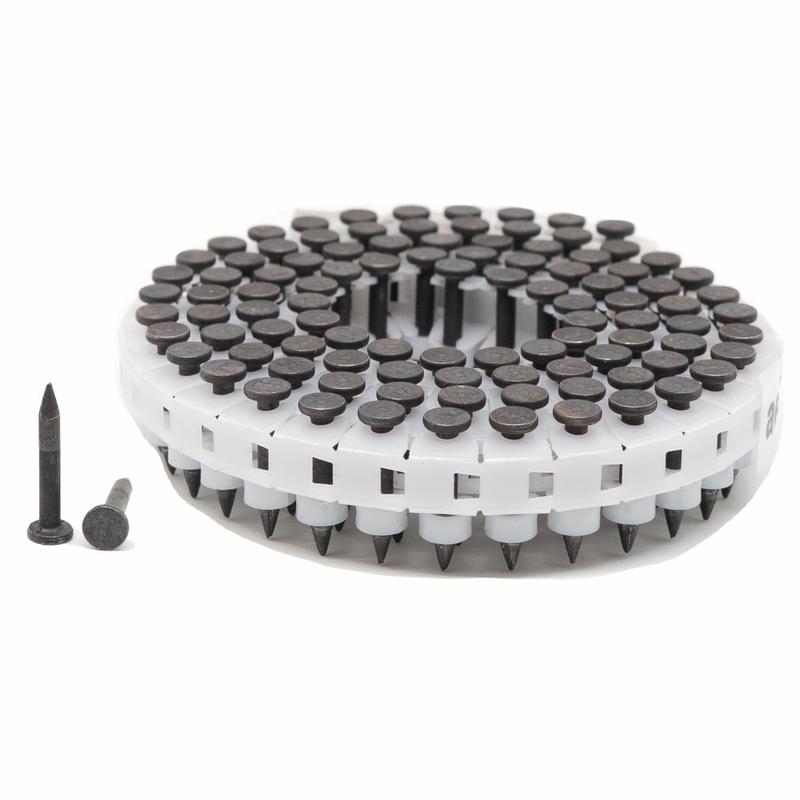 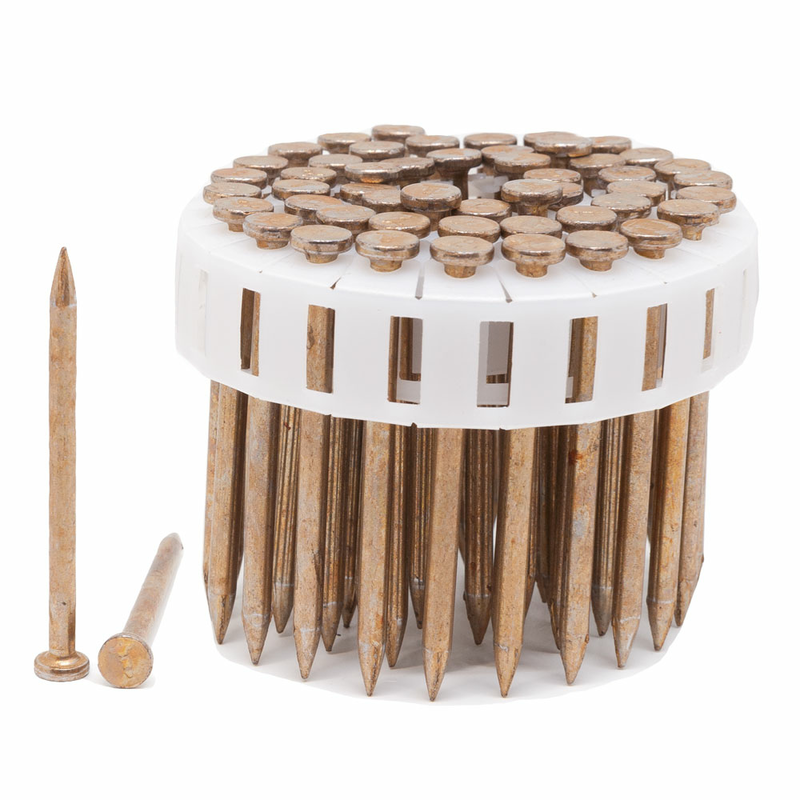 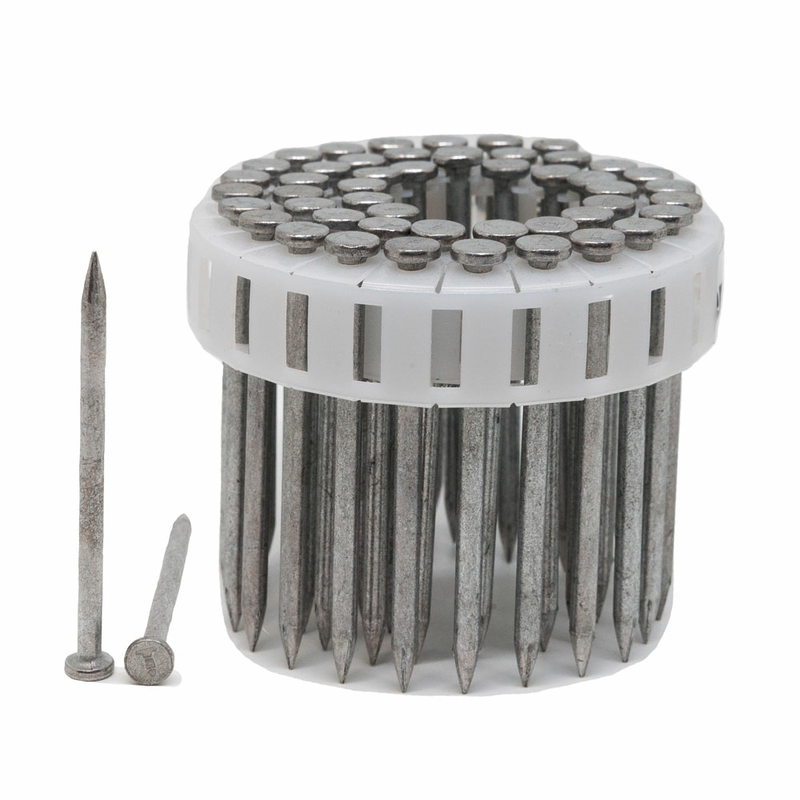 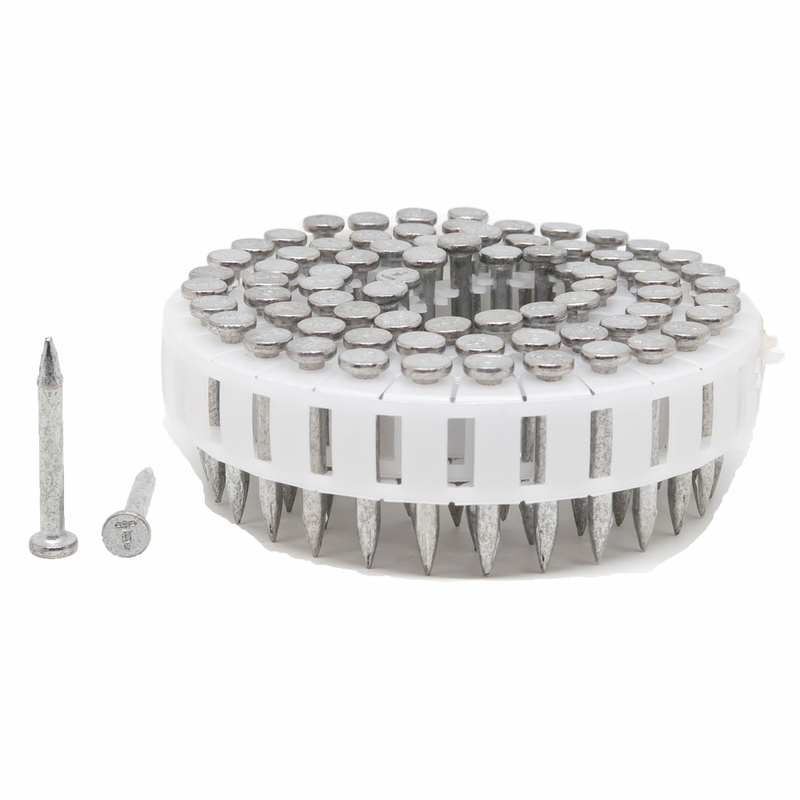 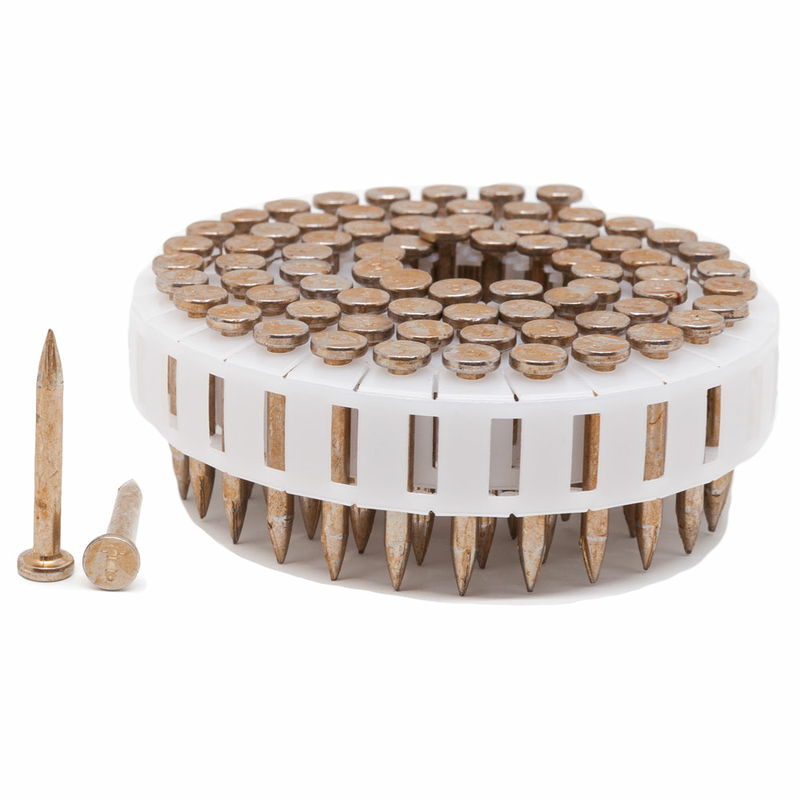 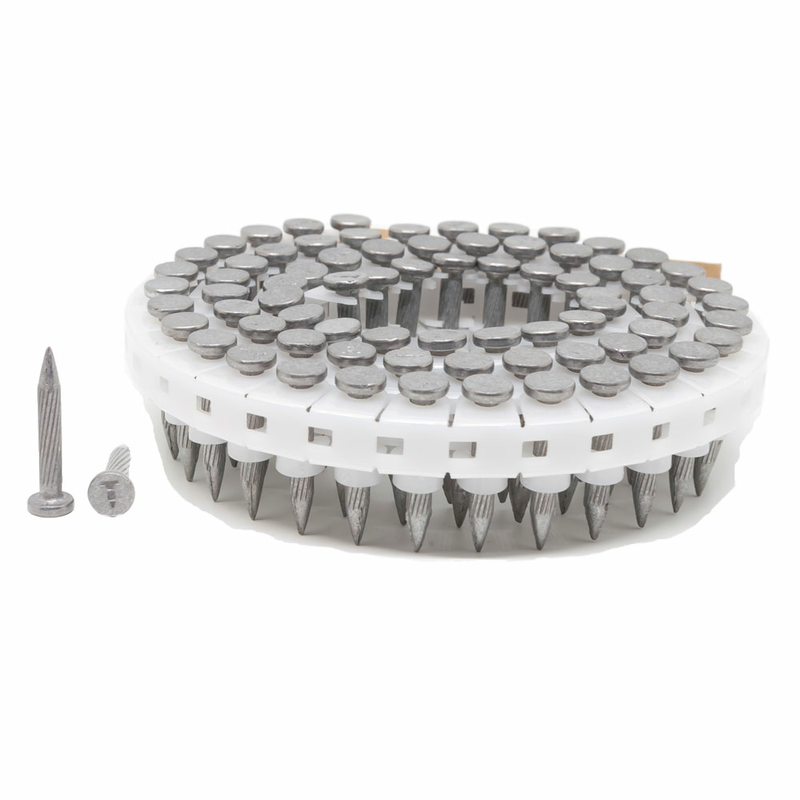 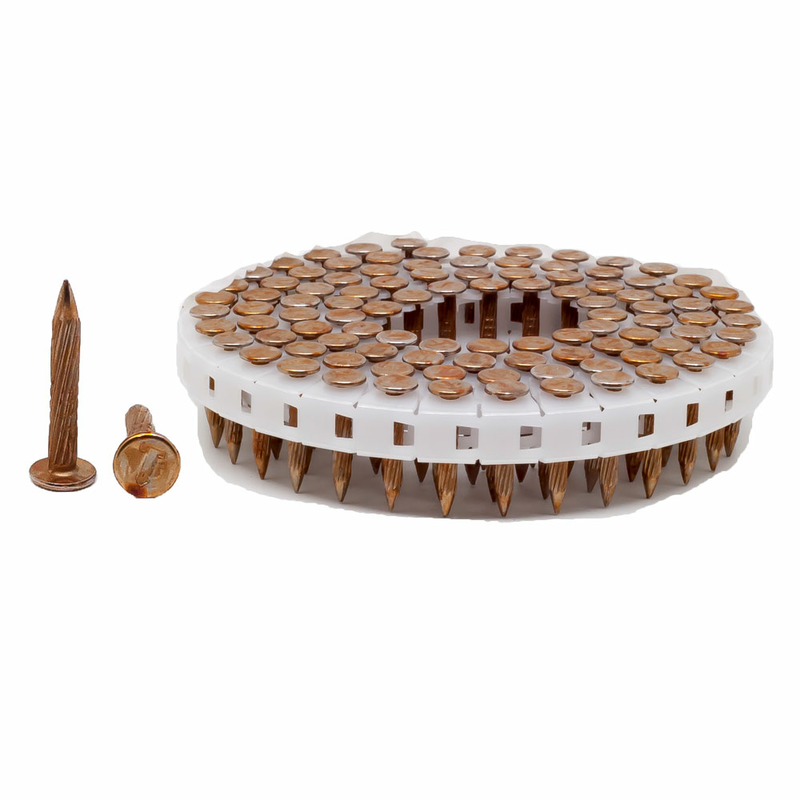 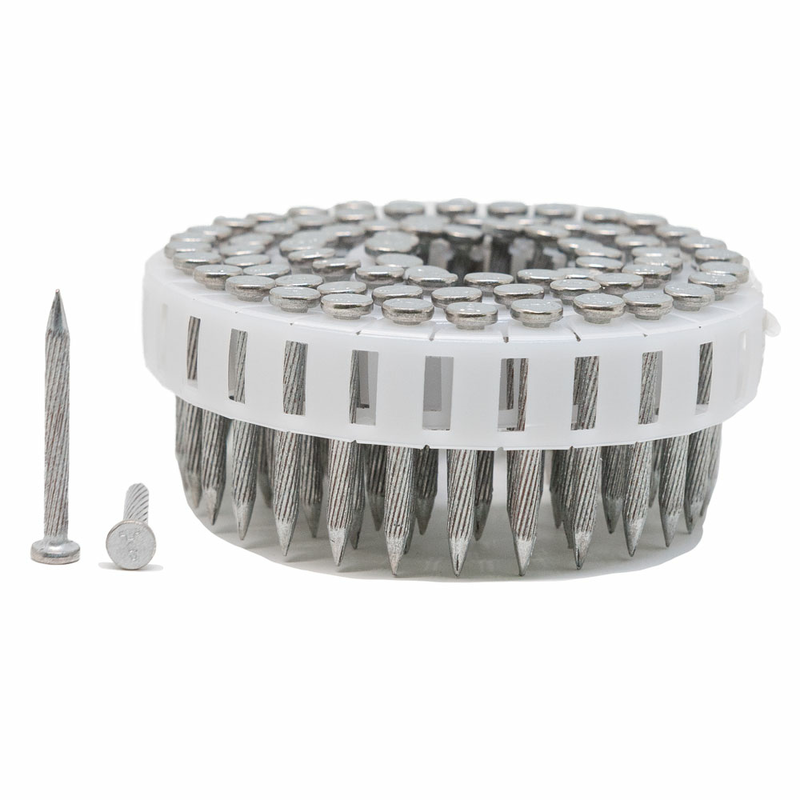 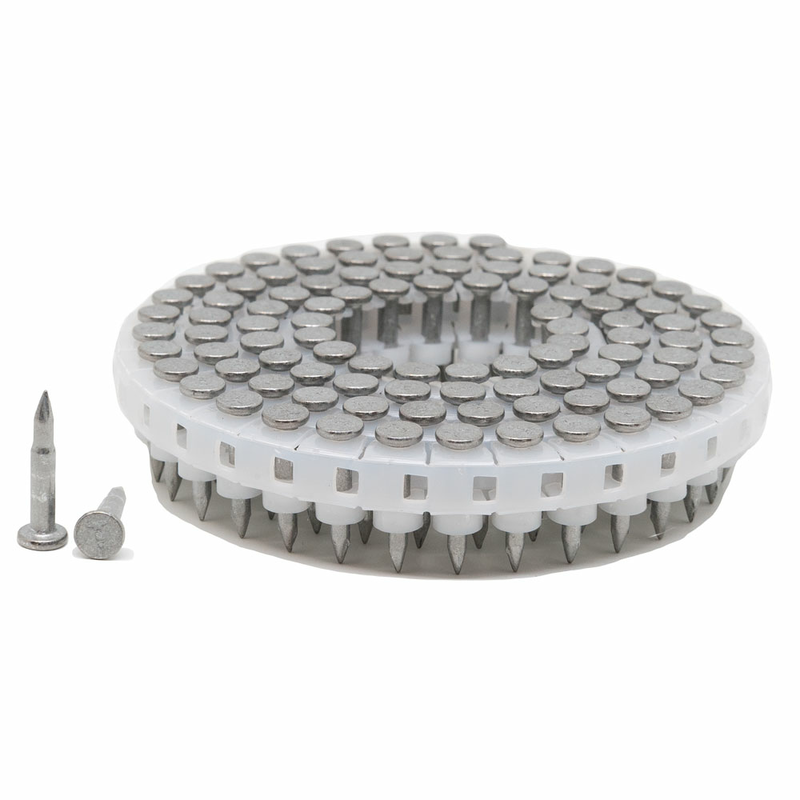 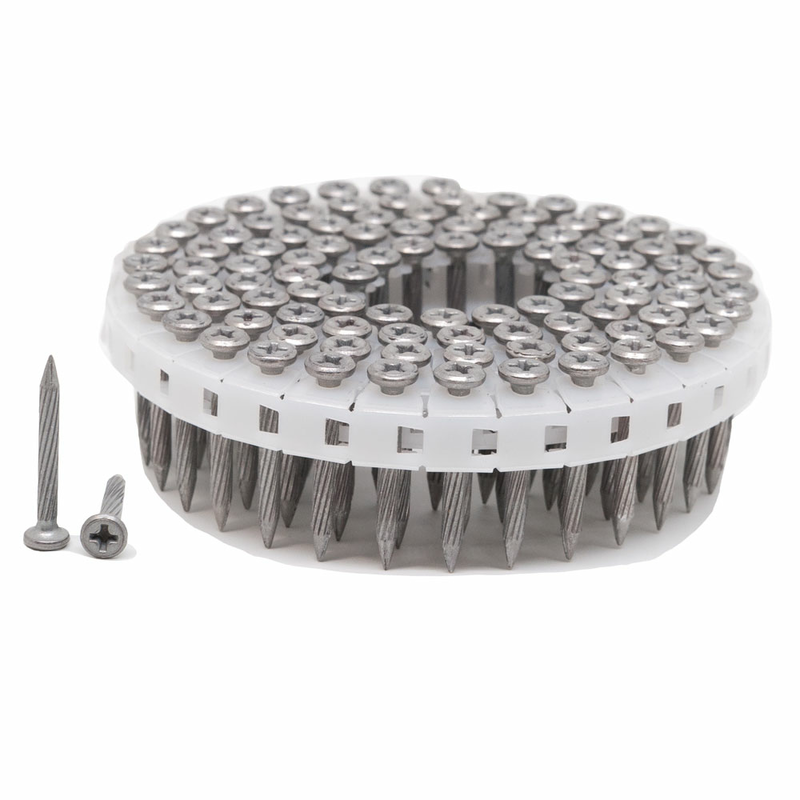 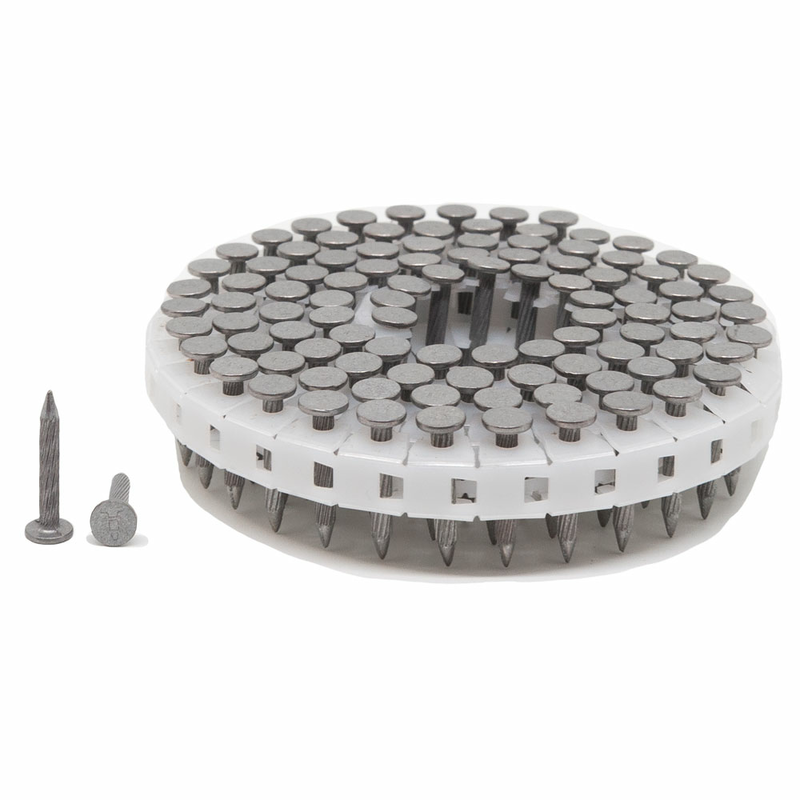 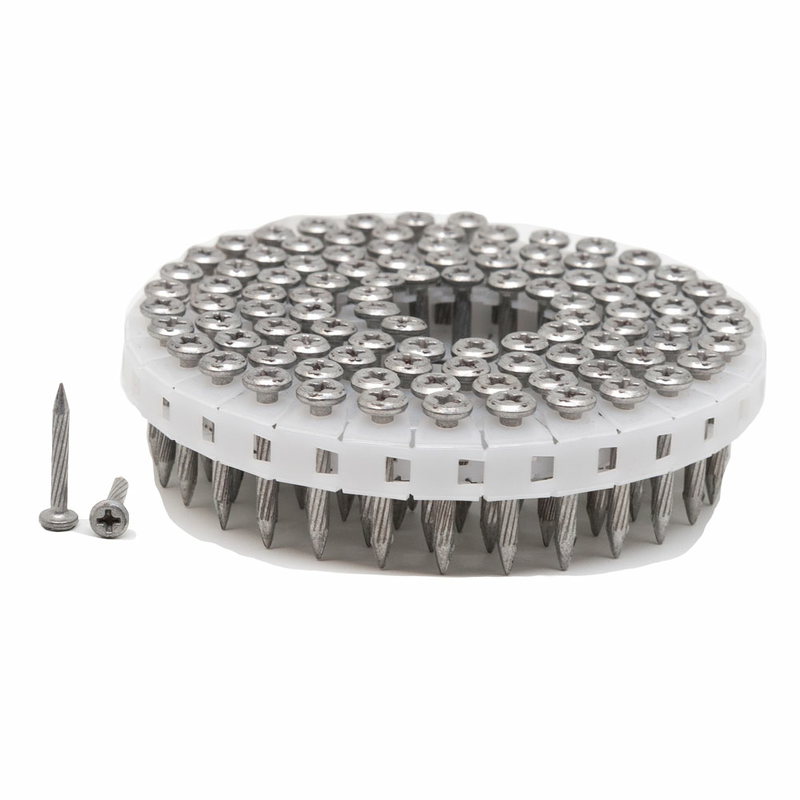 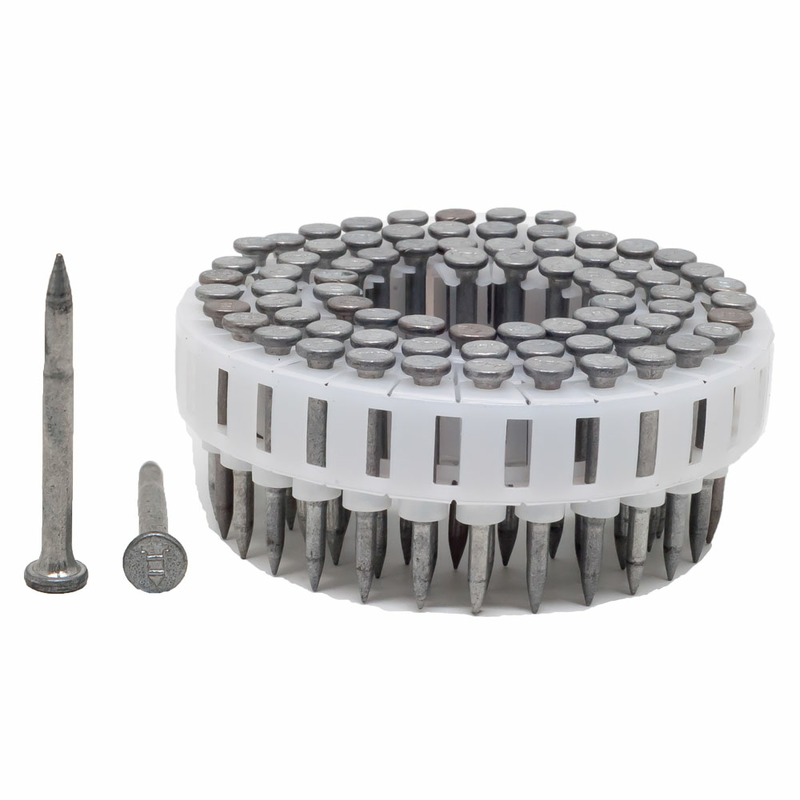 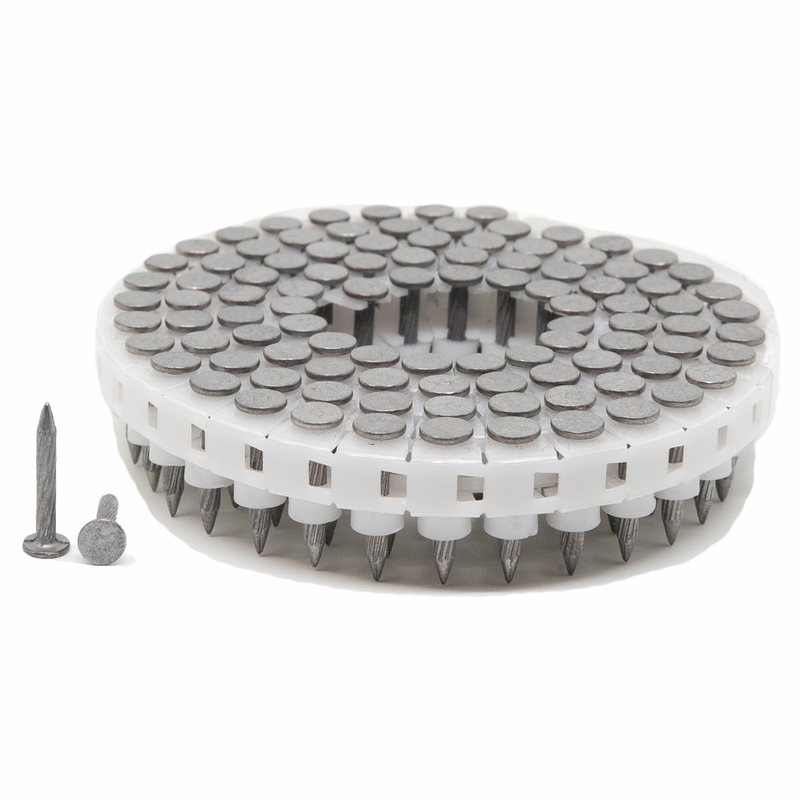 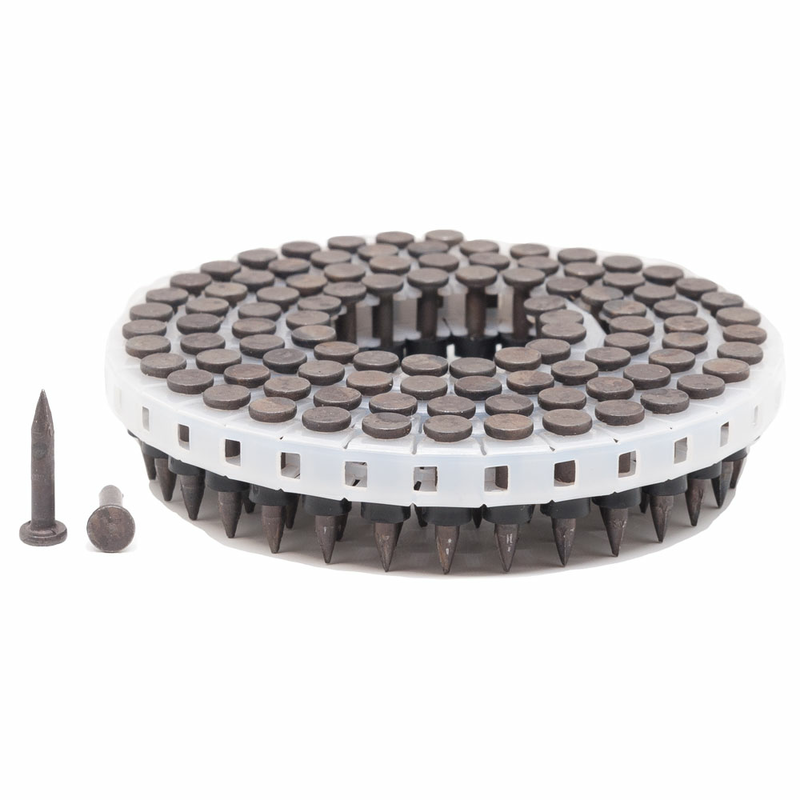 The above parts all have a Head Diameter of .300", are plated with Zinc or PT2000, feature Plastic Sheet collation, and offer 75 or 50 fasteners per collated unit.